Since its inception in 1991, Knights of Columbus Council 10567 has been an active participant in raising money to help the mentally challenged citizens in our community. Collecting during the month of October has become a primary event during the fraternal year that all Knights in Council 10567 look forward to. The drive, which is sponsored annually by the Knights of Columbus, is designed to raise money for children or adults with special needs. Knights have collected money at various locations over the year, with Wal-Mart being the primary focus of the fund raising efforts. The program is known to many as the "Tootsie Roll Drive", since Knights usually give away Tootsie Rolls while collecting donations. Over the years, Council 10567 has given thousands of dollars away to schools and organizations that have children and adults with special needs. 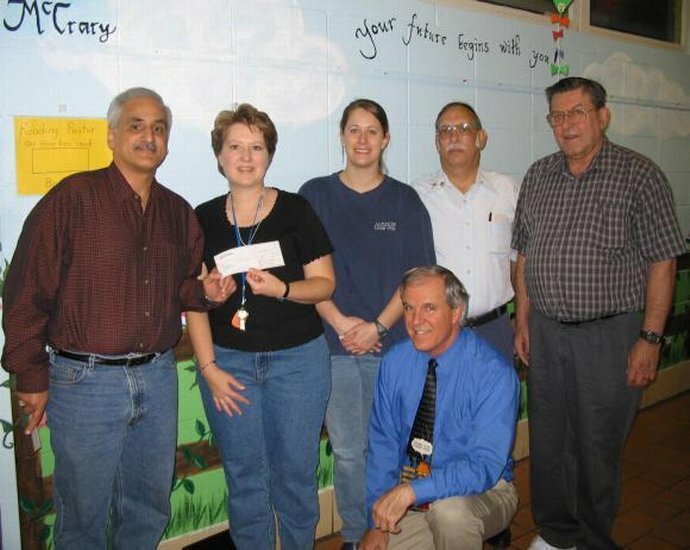 In the 2004 - 2005 fraternal year, Council 10567 gave its proceeds to the special education classes at Crumly Chapel Elementary School and Adamsville Elementary School.